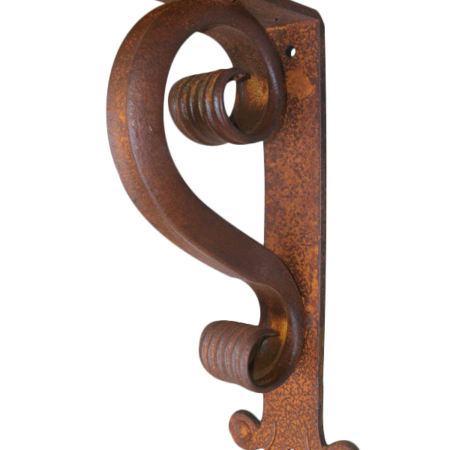 Unique Heavy-Duty7 ½” Wrought Iron Corbel that’s so distinctive and different bringing character to your bar top, countertops, mantels, and other support need. 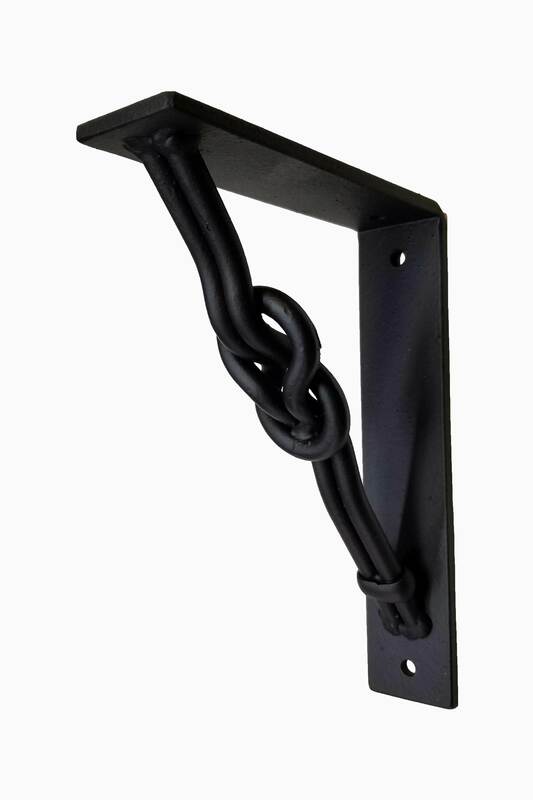 A strong metal bracket that looks great as a black metal bracket or in any of our fine hand-applied finishes. 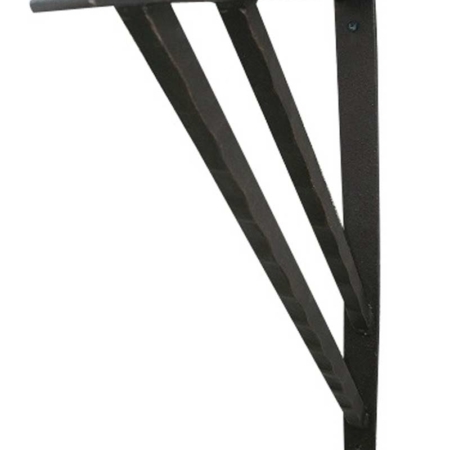 And, to make it even better it is ideal for interior or exterior use. 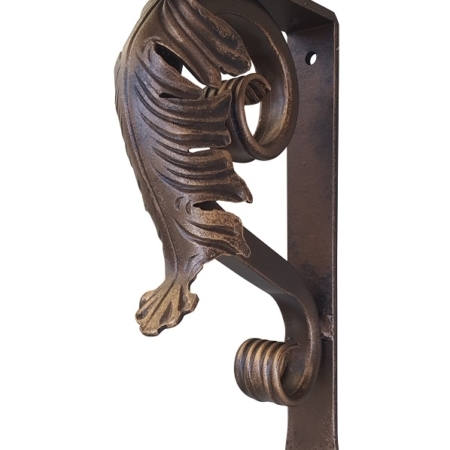 This unique heavy-duty wrought iron corbel provides a great look in bar top support, shelving bracket, mantel support and more. 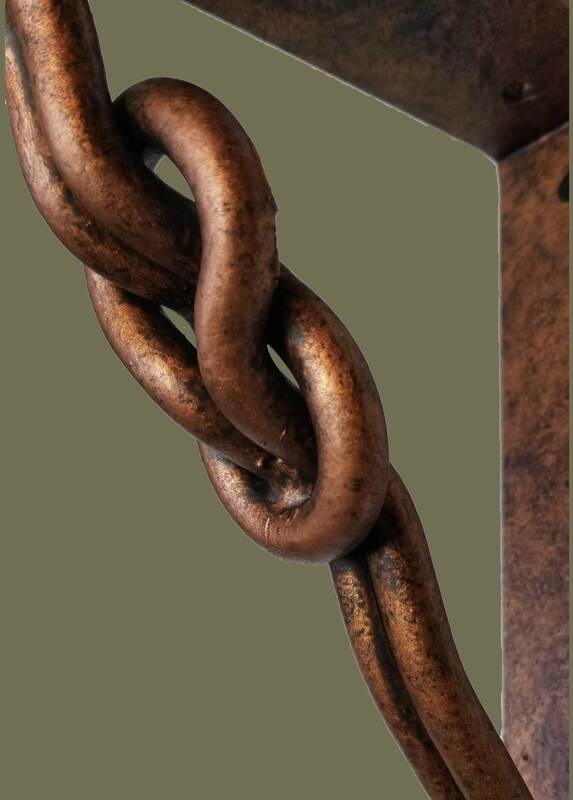 Sometimes things just get all knotted up and it takes patience and time to straighten it out. 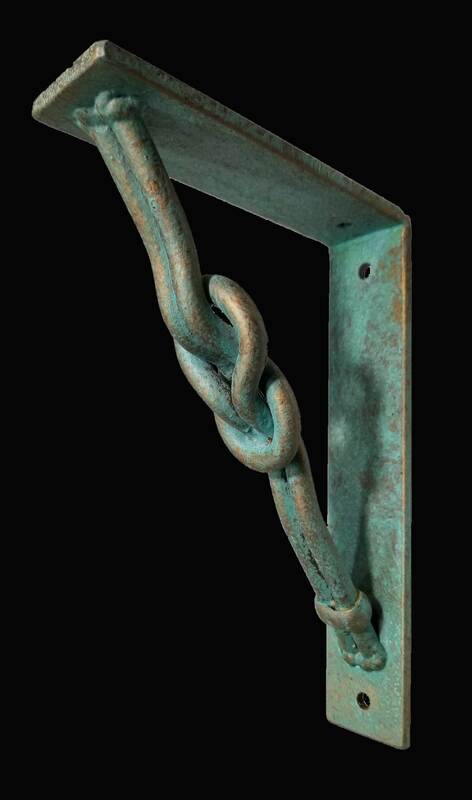 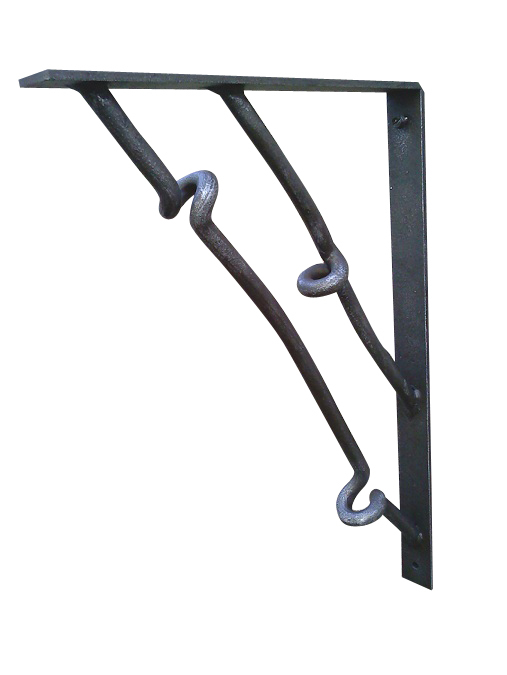 But, in this case, we are glad we could create this heavy duty iron bracket with a knot and all. 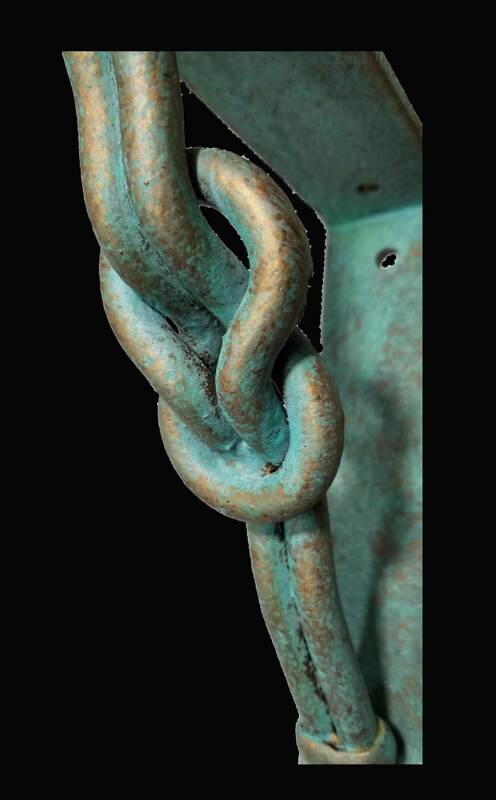 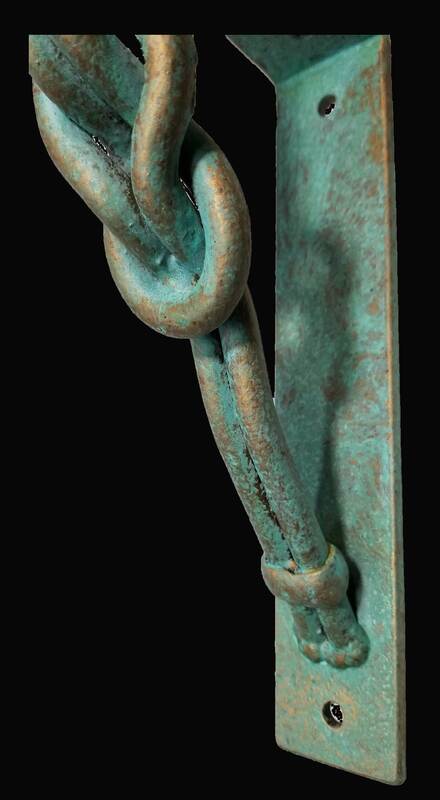 So no need to worry about unknotting this one, it’s actually an artistic way to use it. 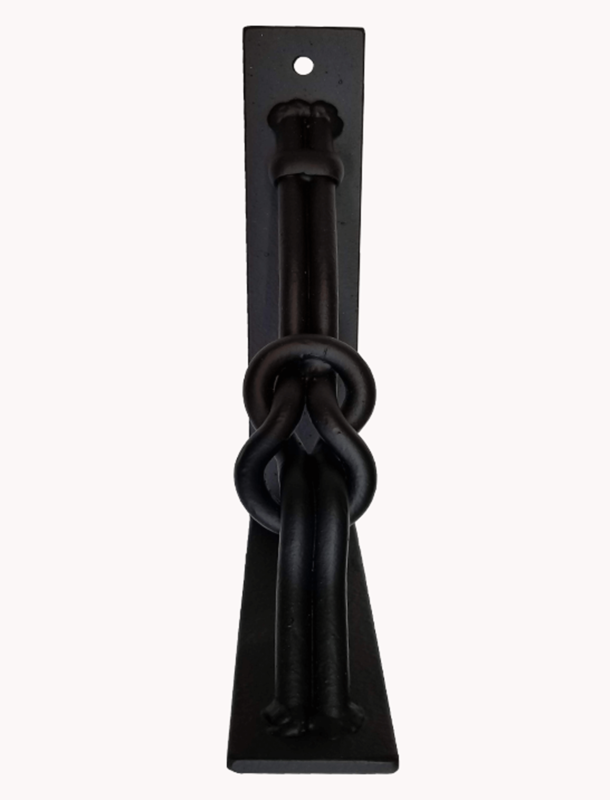 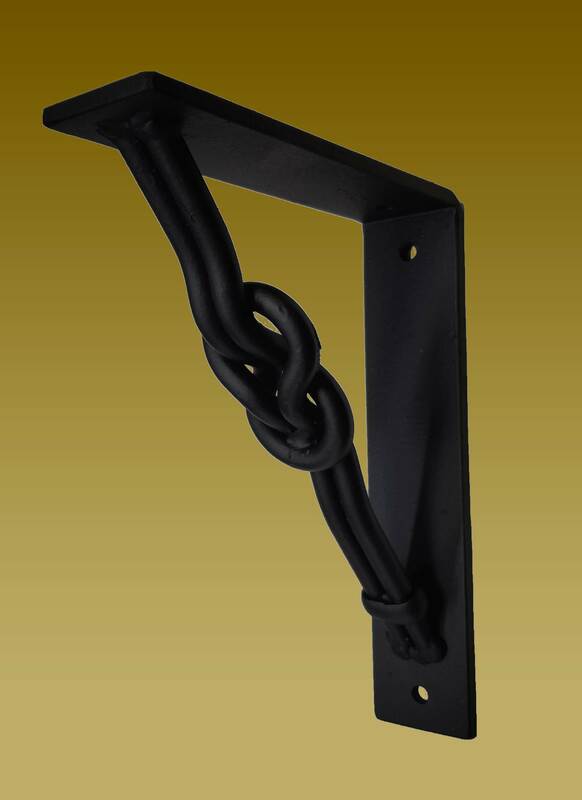 A unique Heavy-Duty 7 ½” Wrought Iron Corbel Made that’s ideal for bar top support, shelf support bracket, mantel bracket & more. 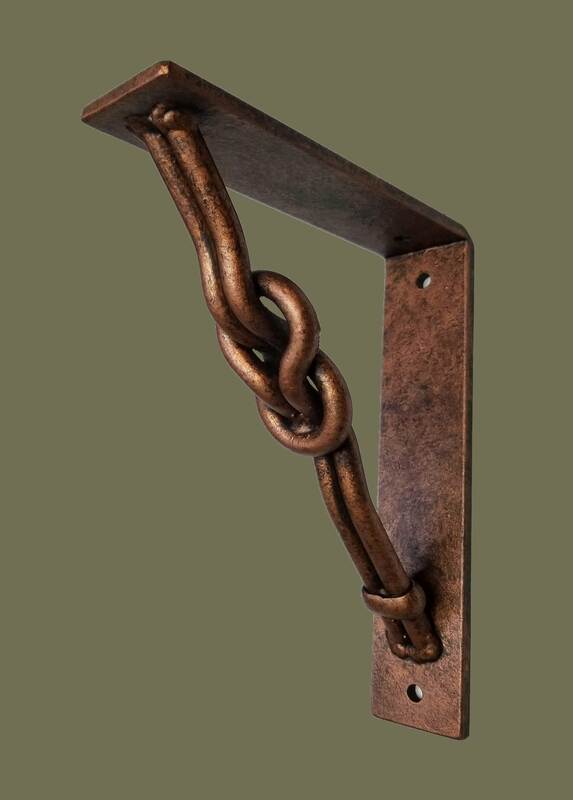 And, not only will this knotted metal bracket fit nicely under shelving, counter tops, bar tops or mantels it will provide strong support and a great look. 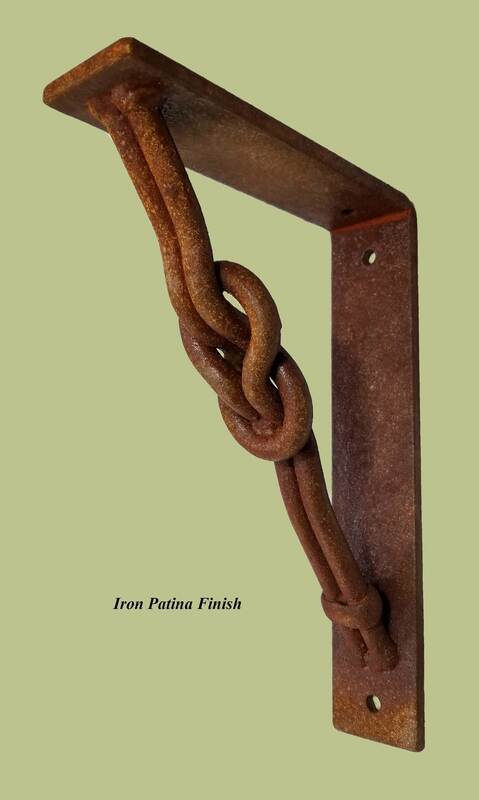 Also, as with all our iron products, we have a comment from our customer Kim S. from Kim S. from Mooresville, NC. 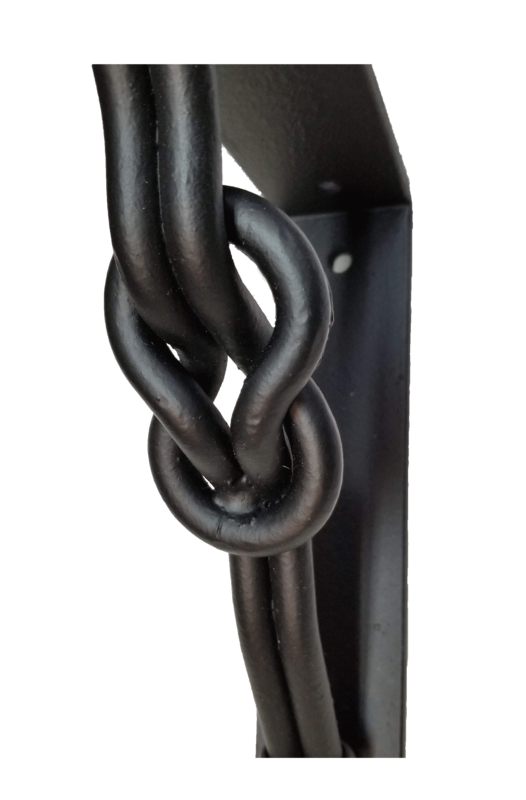 Kim wrote, “Received the brackets and they were just beautiful, better than expected. 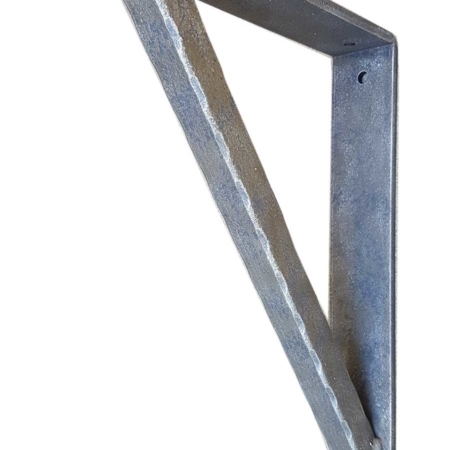 We absolutely love them-excellent workmanship.” With this comment from Kim, we hope you have confidence in us to place your order with us today. 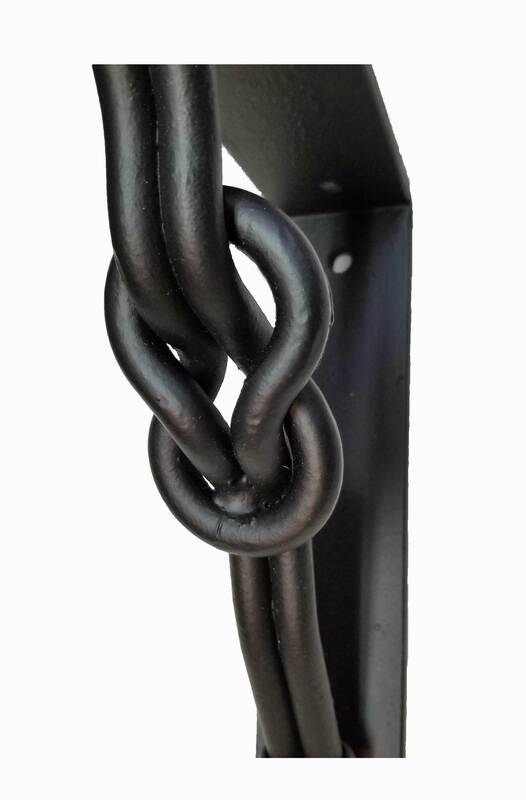 Approximately 2 weeks, from the time of order, Ship FREE in the Continental U.S.